Designed for extruding a polymeric coating onto 16 gauge wire with a .031” coating wall thickness. Supplied with a band heater, ring nut, and standard adapter. Shortened adapter available for use with breaker plate assembly. All C.W. 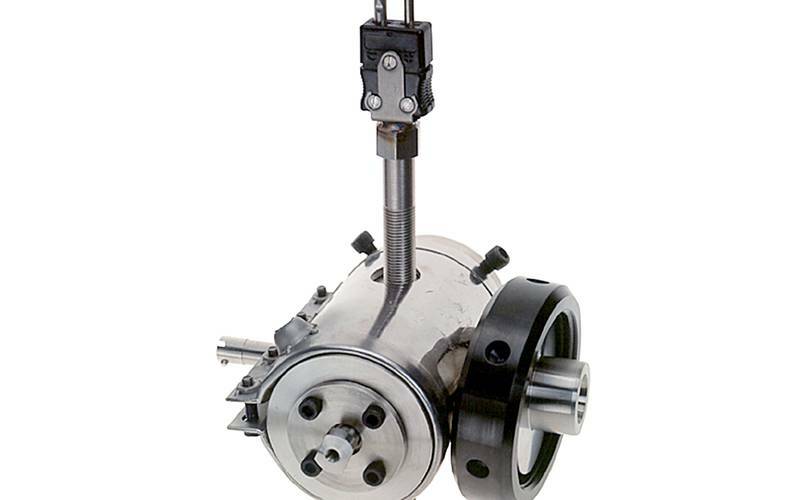 Brabender die assemblies are interchangeable and can easily attach to any C.W. Brabender extruder. They are equipped with threaded borings for stock temperature thermocouples and/or pressure transducers and can be effortlessly disassembled for thorough cleaning. Construction is of 416 Stainless Steel. Additional coating gauges available upon request.